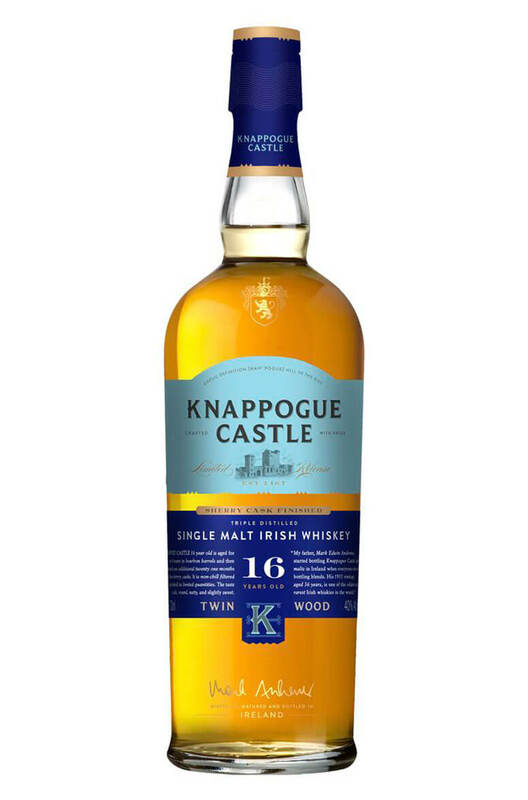 The 16 year old Knappogue Castle is a fantastic single malt that has been made using unpeated barley and was triple distilled at Bushmills distillery. A first period of maturation was done in ex-Bourbon barrels before and final marrying and finishing period in Oloroso Sherry casks. A limited release, this new bottling has more sherry cask influence and is bottled at 40%. Finish Sherried fruity maltiness, layered with dusty dark chocolate and some lingering sweetness. This is a lovely old malt with just the right amount of sweetish sherry flavour complementing the overall stronger whiskey flavour. Ingredients Aged for just over fourteen years in bourbon barrels for our signature smooth taste. 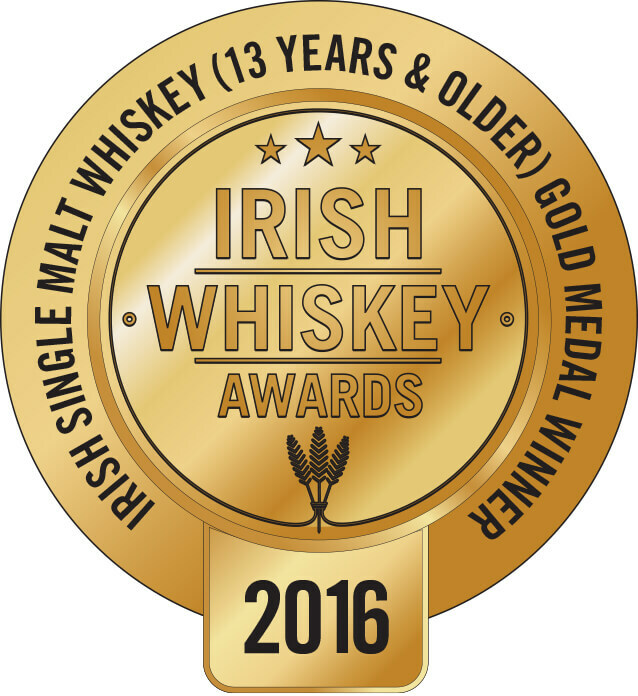 This perfect whiskey was then put into casks especially seasoned for Knappogue using Oloroso Sherry for a further 21 months. Types of Barrel used for Aging Finished in sherry casks which add flavours of dried fruits, nuts and caramel toffee. Richard Carlton Hacker—The Robb Report, March 2010 “Knappogue Castle Twin Wood is a 16-year-old Irish whiskey with a slight amber tinge to its golden hue, and a much more prominent taste. Triple distilled, Knappogue Castle’s characteristically smooth, mellow flavor is enhanced by the nutty sherried nuances of yeasty oak, apples, and olives. The 1951 Knappogue Castle now has a legendary status amongst Irish whiskeys. The old Tullamore Disti..